Rainbowdance has been taking off in California. Since September, Dicki Johnson Macy and Robert Macy have spent one week a month with the Sonoma Charter School, training staff and working with students. 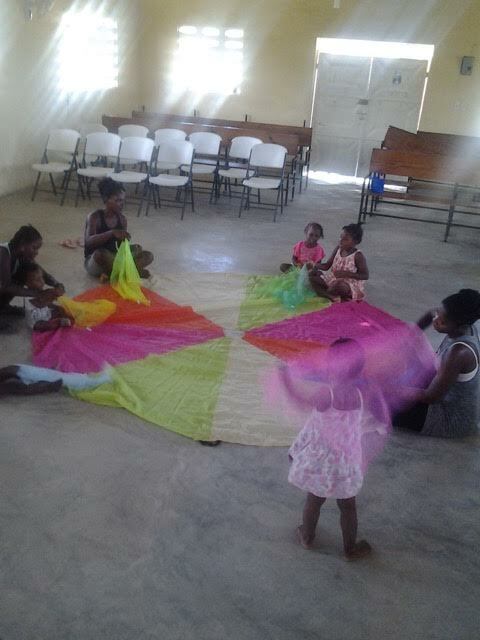 Here is a Rainbowdance session at the school led by Endorsed Rainbowdance Practitioner Nina Saraceno. 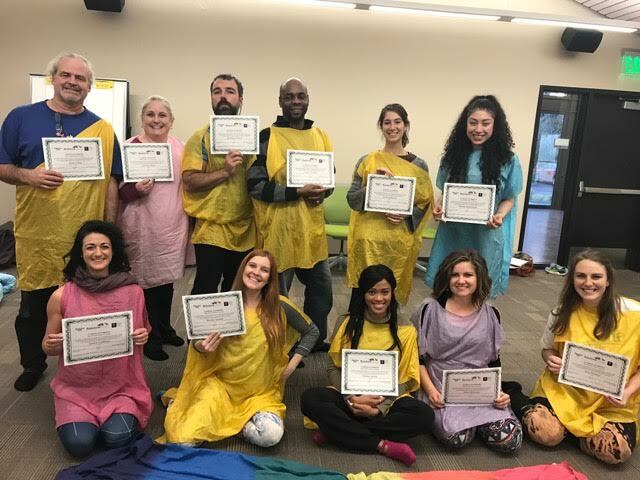 In addition to monthly trainings with the SCS, this January Dicki trained members of the Sonoma California Network in Rainbowdance. Trainees included employees from: Napa State Hospital, Valley of the Moon Foster Program, and Hanna Boys Center. She was assisted by Alicia Brewster, her former Lesley University intern. 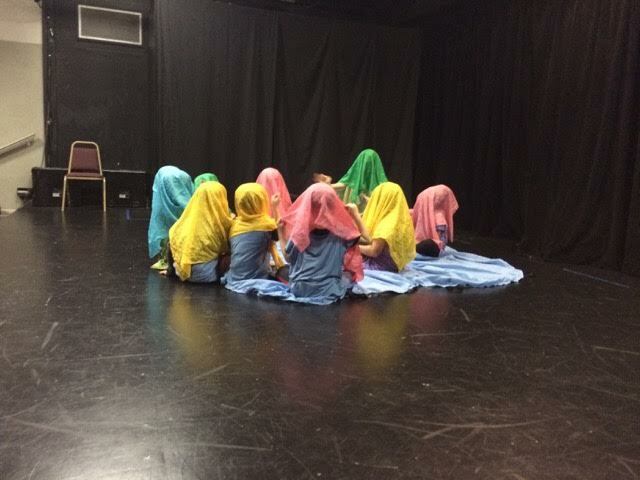 Locally, Rainbowdance trainings have been in full swing. In September, Jen Mueller led her first Basic Rainbowdance training, with co-leader and former intern Ashley Lemmonds, training Head Start staff in Springfield, MA. This December, Jen and BCF employee Rachel Assaf trained Vanessa Perrin in the Advanced Rainbowdance Model. 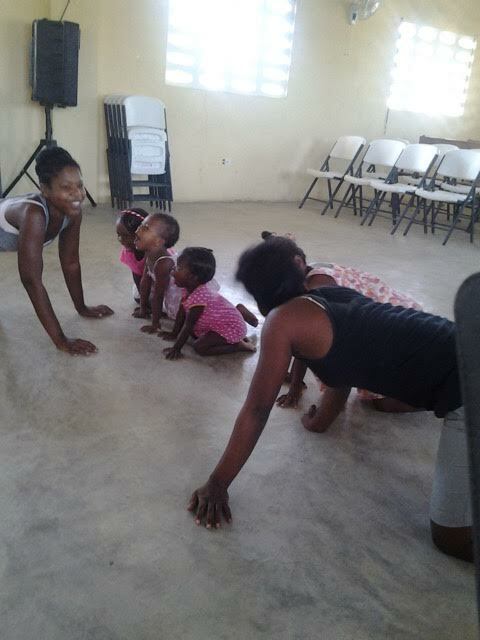 Vanessa is pictured here in Haiti, where she uses Rainbowdance in her work with children.